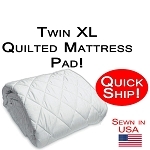 Twin Extra Long Size Bed Dimensions are 39 inches wide x 80 inches long. These are standard twin Extra Long bed measurements. 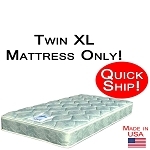 Twin Extra Long Mattress depths can vary from just a few inches to 16" or more for the new huge pillow tops. 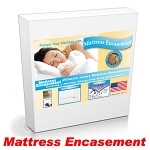 Many times, actual mattress dimensions will vary by one or two inches, usually smaller. 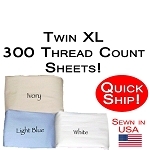 Twin Extra Long Size Bedding used to be mainly used in college dorms. However, with our population growing taller, many children cannot fit in traditional twin size beds so twin extra long is becoming much more popular. 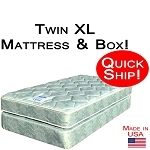 I would not be surprised to see twin extra long mattresses to begin to threaten sales of twin size beds in the future.